(CBS News) NASA announced Tuesday that the Mars rover Curiosity had a successful "brain transplant." The space agency reported that in a four-day undertaking, new software replaced what was installed in the Curiosity before its flight from Earth to Mars. The original software gave the rover the navigational capabilities it needed for the journey to Mars, but not enough to carry out scientific work NASA has planned for Curiosity. "Just like we upgrade our operating system on our home computer or laptop or something, we're going to do the same thing," Mike Watkins, Curiosity mission manager at NASA's Jet Propulsion Laboratory told reporters in a news briefing last Thursday. In order to avoid interference, the Curiosity's activities, including scientific studies were put on hold for the duration of the software update. Ashwin Vasavada, senior scientist at NASA's Jet Propulsion Laboratory said the Curiosity will also be taking its first full 24-hour weather readings this week. Mars enthusiast can also expect to see more panorama images of Mount Sharp in the coming days. 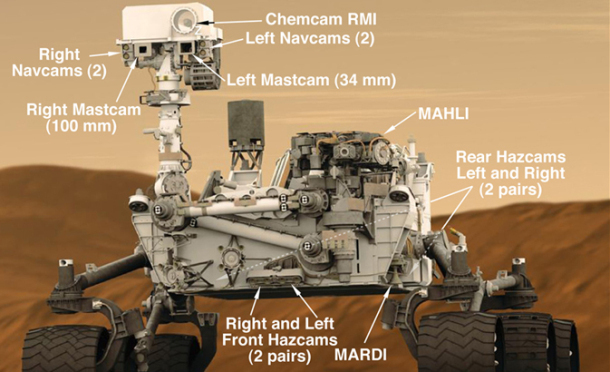 The Curiosity rover arrived on Mars Aug. 5 in what's been described as a flawless landing. The rover will investigate if Mars is capable of supporting life.